Age 58, of Martinsville, Ohio, passed away early Wednesday morning, January 16, 2019 at home surrounded by his loved ones. He was born April 1, 1960 in Cincinnati, Ohio, son of the late Noble Harold Jones and Clara B. (Price) Jones, of Clarksville, Ohio. On April 17, 1984, he married Dolly D. O'Dell Jones, who passed away March 30, 2017. 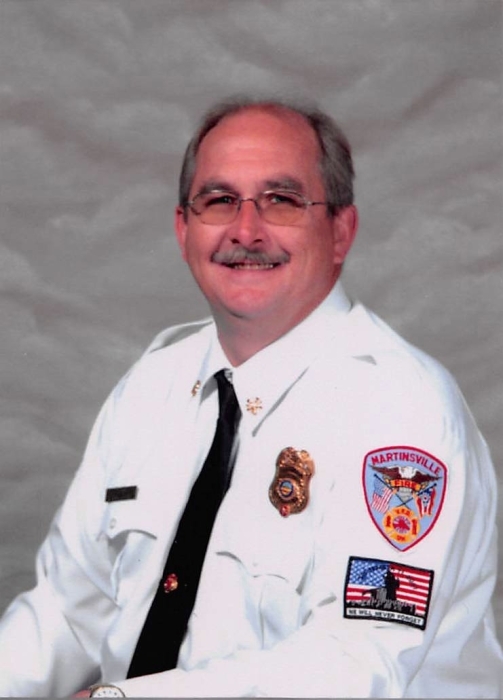 Mike served as the Fire Chief for Martinsville Fire Department and the Clinton County Emergency Medical Services Director. In addition to his mother, other surviving family are his sister- Vickie (Tom) Giannetti of Goshen, OH; brothers-in-law- Donald (June) O'Dell, Dewey O'Dell, & Darren O'Dell; sister-in-law- Debbie (Rick) Hollingsworth; nieces & nephews- Gwendolyn, Joshua(Carolyn), Thomas, Travis, Candi, Caleb, Seth, & Chad; and great-nieces & great-nephews- Addisen, LeeLand, Alysse, Julian, Darius, Gabrial, & Jasper. In addition to his wife and father, Mike was preceded in death by his brother- LeRoy Jones. Funeral Services will be held 11:00 AM, Friday, January 18, 2019 at the Fisher-Edgington Funeral Home, 97 West Locust Street at North Mulberry Street, Wilmington with Pastor Dan Mayo officiating. Interment will follow in the Sugar Grove Cemetery, Wilmington. Friends will be received from 4-8 PM, Thursday, January 17, 2019 at the Fisher-Edgington Funeral Home. Contributions in Mike's memory may be made to the Martinsville Fire Department, 317 School Street, Martinsville, Ohio 45146 .